Going through fertility treatment is emotionally hard for the couple and going to a practice which is not compassionate can be quite stressful. Therefore it is important to select a practice which offers a relaxed and caring environment. There are over 400 fertility centers in the US, but it’s important to review certain things before you select a practice. Sole practitioner: Only single doctor to give you complete attention and care throughout the process. It may seem like a good idea, but bear in mind that fertility treatment often requires going for procedures, blood work and ultrasounds at odd hours, so a single practitioner might not be able to handle it all alone. Being turned over to junior staff and nurses during your time of need in the middle of the treatment is a con you should take into consideration. Small practice (2-5 physicians): Usually considered to be the ideal type of practice for fertility treatment when you want individualized treatment. More than one doctor is available throughout the day to answer all your questions and concerns. As the practice is relatively small, the doctors can provide individual detail for all patients. Mostly your primary doctor will be available, but in certain situations a secondary doctor can easily step in for you immediate needs. Large practice (more than 5 Physicians): As the size of the practice increases, the individualized attention might reduce, but the benefits include having around the clock service available. As large practices are staffed with highly skilled nurses and technical staff as well, you are bound to get good care from a dedicated team. Hospital Based Centers: These fertility centers can provide large facilities and state of the art equipment for all fertility procedures. With the hospital facilities available for the treatment center, the physicians can perform all procedures, surgical and non surgical in the same place. Apart from the size of the practice, other important factors to help you choose a facility include their success ratio, financial assistance and recommendations. You can search for individual clinics and their success rates on the SART Society of Assisted Reproductive Technology website. If a facility doesn’t have a high success ratio, then it is better to stay away from it. There is no point of wasting your precious time and money to go through a harsh treatment to find out that it was not successful due to negligence on the practice’s part. Financial assistance is another key factor. As fertility treatment can be quite expensive and is usually not covered by most insurance plans, it is best to select a clinic which offers some payment options and discounts. Certain clinics offer 6-12 year payment plans, others offer a group package which lets you try more than once in case of a failed cycle at a fixed price. 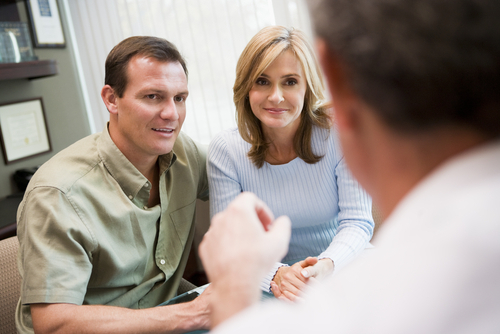 So it’s best to explore these options before you select a fertility center. Finally choose a clinic which comes highly recommended. Ask your gynecologist, friends, co-workers if they know about a well reputed fertility center near you. This way you can ask about their experiences and learn a lot about the type of care you will receive. Next: What is Female Genital Mutilation?